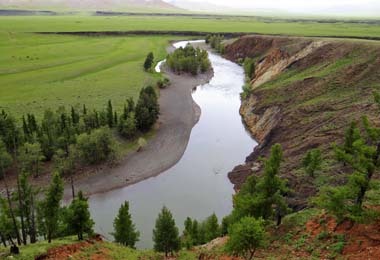 Mongolia group tours which provide a bit of everything. Our Best of Both tours contain classic highlights, historical sites and cultural experiences combined with more active adventures exploring Mongolia’s wilderness terrain. Comfortable ger camp accommodation combines with wild camping, amazing culture combines with the adventure of a life time. Our Mongolia best of both group tours have a degree of flexibility, to allow for individual preferences and interests to be catered for. We also only take small groups – between 6-12 people, depending on the trip. 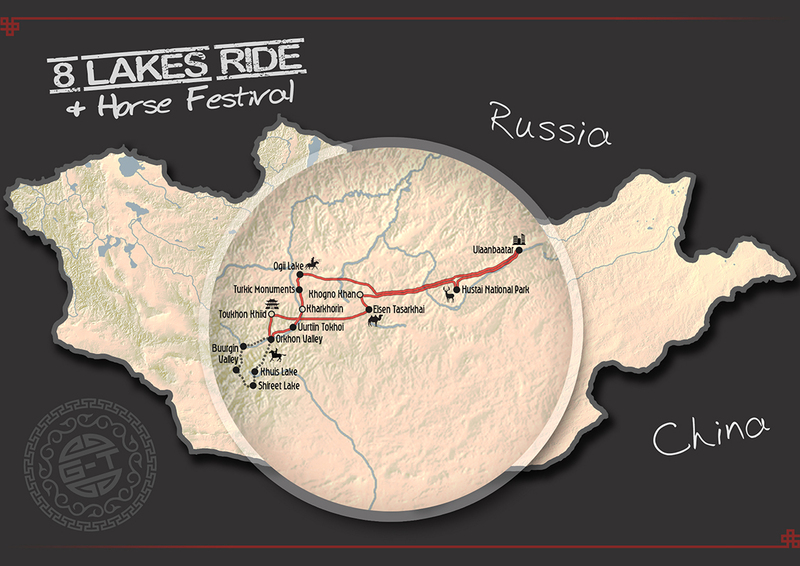 A cultural overland adventure combines with an 8-day ride in the Khangai hills and Orkhon Valley in Central Mongolia. Head west from UB, seeing the Przewalski horses at Khustai National Park, the dunes at Elsen Tasarkhai, and hiking around Khogno Khaan Mountain. 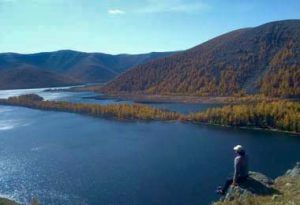 Relax at Tsenkher Hot Springs before saddling up for a horse trek – wild camping combines with homestays and visits to the hilltop Tovkhon Khiid and the Orkhon Waterfall before returning to UB via Kharkhorin and Erdene Zuu Monastery. A cultural & activity-packed exploration of the nomadic heartland of Mongolia – from steppe to desert to lush rolling hills, meadows, rivers and lakes. 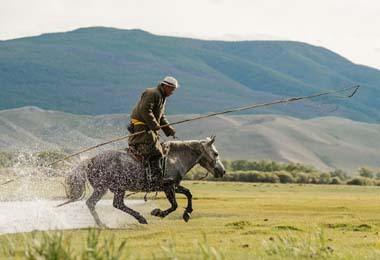 Visit Khustai National Park to see the takhi horses, the dunes at Elsen Tasarkhai and walk the hills of Khogno Khaan before heading to the Orkhon Waterfall. 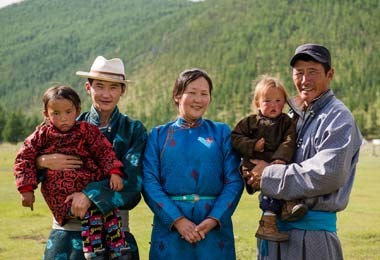 Stay alongside a nomadic family before heading off on a remote horse trek through the southern Khangai hills of the Naiman Nuur (8 Lakes) region. The ride culminates in a pastoral celebration of the Yak Festival, then onto the ancient capital of Kharkhorin and Erdene Zuu Monastery before heading back to UB. A cultural and activity-packed exploration of the nomadic heartland of Mongolia – from steppe and desert to lush rolling hills, meadows, rivers and lakes. 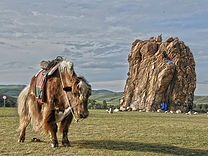 Visit Khustai National Park to see the takhi horses, Erdene Zuu Monastery, Kharkhorin, before heading up the Orkhon Valley to the waterfall. 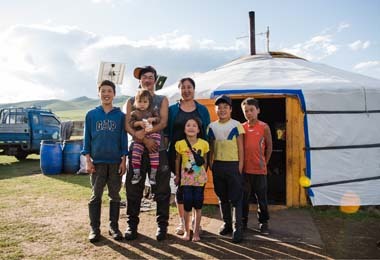 Stay alongside a nomadic family before heading off on a remote horse trek through the southern Khangai hills in the Naiman Nuur (8 Lakes) region. The trip culminates in a fitting Mongolian equine celebration of the Horse Festival, with a final detour back to UB via Ogii Lake.